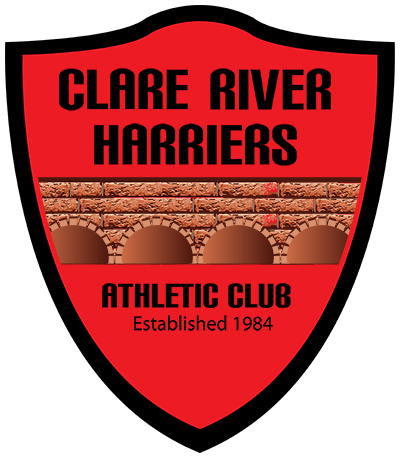 This is the 6th Annual Claregalway 5k organised by Clare River Harriers A.C. (www.clareriverharriers.com). Race number pickup (and late registration) at the new Coláiste Bhaile Chláir (Claregalway Secondary School) building (use the new entrance near the Claregalway Community Centre) between 5.30pm and 6.45pm. Start and finish is near the Claregalway Community Centre. Refreshments afterwards in Coláiste Bhaile Chláir. The local Claregalway & District Day Care Centre are also using this event to raise much needed funds, there are sponsorship cards on the registration tables. Start and finish near the Claregalway Community Centre which is located 150 meters outside Claregalway on the N18 Limerick/Dublin road.